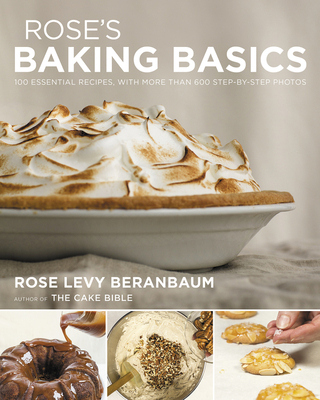 ROSE LEVY BERANBAUM is the award-winning author of twelve cookbooks, including The Cake Bible, which was inducted into the International Association of Culinary Professionals Culinary Classics Awards, and The Baking Bible, IACP Best Baking Book for 2015. She also won a James Beard Foundation Award in 1998 for Rose's Christmas Cookies, and her 2003 book, The Bread Bible, was an IACP and James Beard Foundation nominee and was listed as one of the Top Ten Books of the year by Publishers Weekly and Food & Wine. Her popular blog, realbakingwithrose.com, has created an international community of bakers.